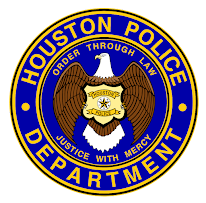 If you are looking at this blog, you are probably wondering what it takes to become a Houston Police Officer. You may not qualify yet. You may not have your 60 hours of college or your two years of military. 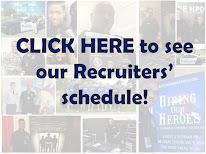 You may have always wanted to be a police officer but felt you couldn't do it. If you stay focused and determined like the bird in this video, most anything is possible. If you're in High School and your peers want you to break the law, don't. If you have had a little too much to drink and you want to drive home, don't. If someone is offering you an illegal drug, don't. If you are determined in life to do what you dream of, stay focused and it will happen. Being a police officer is not for everyone, but if you stay determined and focused you can eventually accomplish anything you want to do. Love the things you come up with on this blog. I really look forward to looking at it everyday. Keep up the great work. That was awesome! Smart bird. I feel like tht bird, Mike. Great post sir! Can't wait to join the ranks! The bird accomplished goal, didn't he? Yes sir, he sure did. He stayed foucused, he didn't quit, he persevered and reached his goal! No wonder your Blog is the greatest. You are ALWAYS posting fun and informative stuff. It is NEVER boring. Great work!! HPD should be proud! !